It is necessary to sign all documents before leaving. 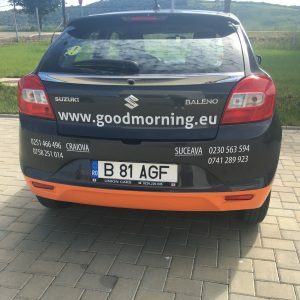 A GOODMORNING representative in Poland or other countries, confirming the trip, will also provide information and tips on how to install the Plan4flex application on your smartphone or tablet – this is an application necessary for the proper conduct of our cooperation (and necessary to start it). Each employee will receive an e-mail password to access the application. After logging in, the employee will find in the application a set of documents for signature. There is, among others, a contract of employment, an agreement on accommodation, etc. Each document requires a separate signature, deposited on the phone or tablet. 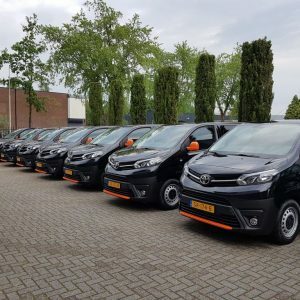 Lack of signature on the documents will make it impossible to leave, and delay in signing documents may result in delaying the payment of the first remuneration in the Netherlands. The contract is always a fixed-term contract, usually for a period of 4 months. It uses ABU CAO (collective agreement) for temporary employees. The speech phase is determined in accordance with the provisions contained in the Collective Agreement. From the moment the employer starts work, the employee’s remuneration is based on the payer’s pay tables. In exceptional situations, the remuneration table in the ABU CAO may apply. After about 12 days, counting to the first week worked, usually on Monday, the employee receives the first settlement. The next settlements take place in a weekly cycle. Each of them is available in the Plan4flex system for the employee for inspection. The settlement shows information on how many hours a salary was paid and on what hourly rate. The system also provides information about net income and how it is calculated. In addition, the settlement also includes information on the number of statutory holiday days collected, expressed in hours. Payment for holiday hours takes place inclusive when the employee goes on holiday at the end of the employment contract. The rates used in pay in the Netherlands are always given in gross amounts and include the division into age. During the year, they are subject to legal valorization, this is always at the beginning of the year – 01/01 and 01/07. For employees over 22 years, the minimum rate is provided according to the table. The remuneration (gross rate) depends on the target affiliation, according to the applicable collective labor agreement (ABU CAO). Therefore, rates may change depending on the company / industry in which the employee will work. Before leaving for the Netherlands, when making arrangements with a GOODMORNING representative in one of the offices in Poland or Romania, it is necessary to provide the employee’s account number. No number indication results in the inability to pay a salary. Transfers are made in the euro currency. It is therefore necessary to ensure that the bank in which the employee has set up an account accepts currency transfers. Transfer to an account in a Polish or Romanian bank may take several days. In practice – from the moment of making a transfer by GOODMORNING, about 2-3 days pass until the transfer is posted to the employee’s account. It results from the processing of the transfer by the bank, indicated by the employee. GOODMORNING can not give a guarantee on the above the period of processing the overflow, because it has no effect on the course of this procedure. In the case when an employee creates an account with a Dutch bank, the processing period is 1 day. In connection with the above, we prefer the option of using a Dutch account by the employee. We recommend cooperation with ING Bank in this field, in which the procedures for setting up an account for new clients are fast and simplified for migrants. Every employee undertaking a job is required to comply with certain rules. 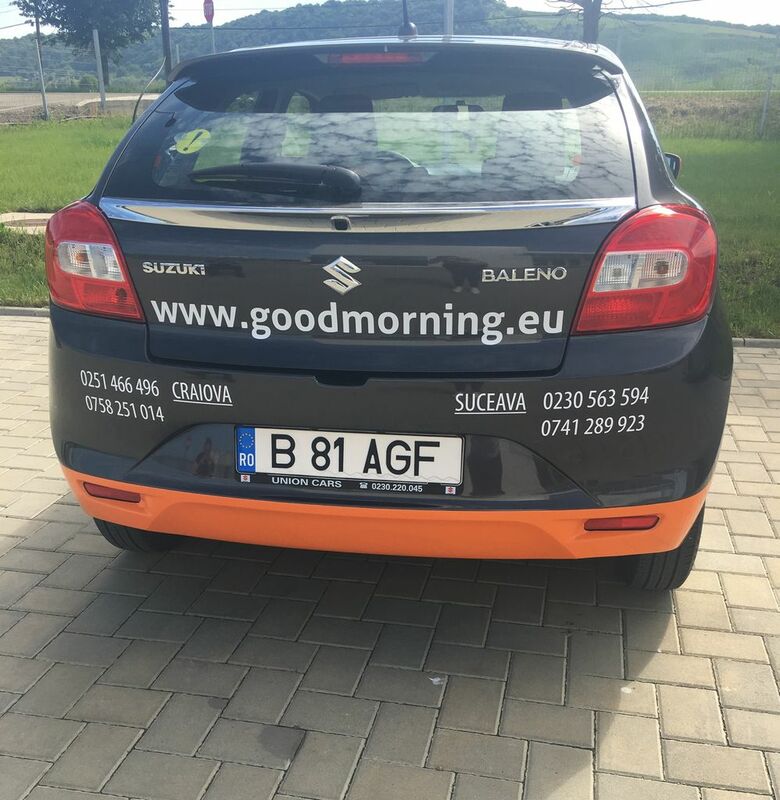 Based on a contract of employment concluded with GOODMORNING, the employee performs work for one of GOODMORNING’s clients. The employee is obliged to comply with the rules in force in the client’s company. The employee is obliged to adapt to the instructions / instructions of the client during the work. In the event of non-compliance with the abovementioned we can consider this as a refusal to work, which – depending on the circumstances – may even lead to dismissal. The employee is obliged to adapt and respect the working hours of the client’s company. The employee must appear at work 15 minutes before the start. An employee may not terminate his work arbitrarily earlier than the indication of the time in force in the client’s company, unless he receives the appropriate permission from the client’s company representative. Consumption of alcohol (in any amount), being under the influence of alcohol or drugs / narcotic drugs is strictly forbidden during the way to work, during work and during breaks at work. The possession of alcohol or drugs / drugs during work is also prohibited. In the event of a breach of the above principles, appropriate measures will be taken and consequences drawn, including the possibility of immediate dismissal. The BSN (identification number) number is a number that every working person in the Netherlands is required to have. From 1 January 2014, the number is issued by the Dutch municipalities upon presentation of a valid passport or European identity card. There is no cost to issuing the BSN number. The commune registers the address in the country of origin of the employee and enters it in the register of persons without permanent registration (Register Niet Ingezetene – RNI). Our company organizes employees registration in the RNI registry. Without a BSN number, it is not possible to pay remuneration. Therefore, in the first week, we try to ensure that every new employee is registered in RNI. 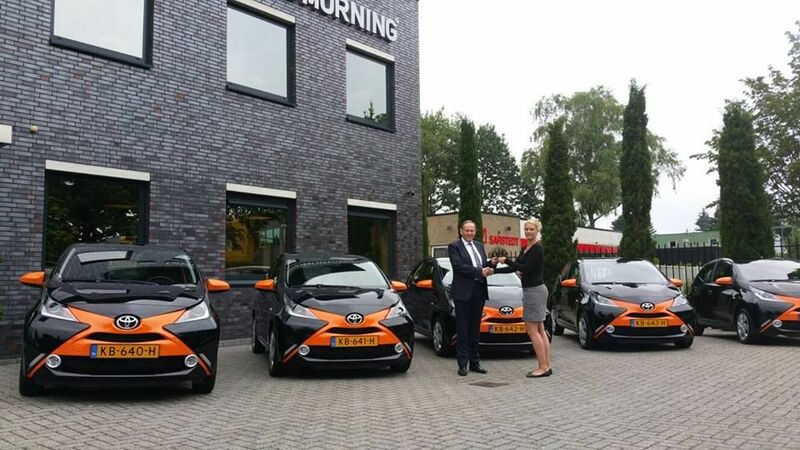 The application is used to communicate the employee with the office in the Netherlands. Thanks to it, an employee can sign remotely all documents, get his work plan, get access to salary settlement, report holidays, problems and ask questions. The application can be used with smartphones or tablets. It is available on iOS, Android and Windows. Insight into my work plan. Sending a message to GOODMORNING. Data for logging in to the application is sent to the e-mail address provided during registration. In order to ensure the comfort of our clients, GOODMORNING, in cooperation with Koweli Real Estate, offers employment in the Netherlands without having to look for, rent and furnish an apartment. Comfortable accommodation has been GOODMORNING’S concern for many years. It is reflected in the SNF (Stichting Normering Flexwonen) certificate (http://www.normeringflexwonen.nl – website available in Polish) which safeguards the quality and level of accommodation for employees. In order to obtain the certificate, demanding standards have to be met. This is not a problem for us. We understand that in order to be willing and able to work one has to feel comfortable in a new environment. That is why we put so much emphasis on the standard of the apartments we offer. 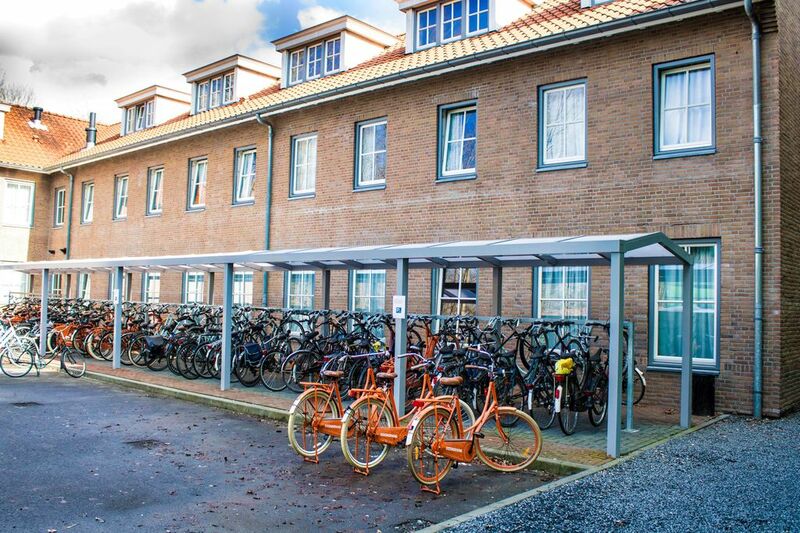 We offer fully-furnished houses, apartments and large residential units all over the Netherlands. A maximum of two persons reside in one bedroom. The living space is at least 10 m2 per person. The kitchen and bathroom are shared. Large residential units offer additional amenities such as recreation rooms, canteens, reception desk, etc. Internet service is available in every location (apartment). 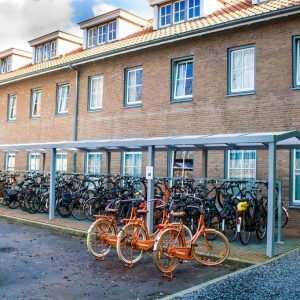 To ensure that employees come to work on time and make the process as easy as possible, we try to offer accommodation close to the place of employment and, thus, shorten the commuting time. All apartments comply with the standards of the ABU Certified Flex Home certificate. The costs of accommodation are deducted from weekly pay. Thanks to our experience and an extensive network of flats, houses and apartments we can offer very attractive prices. Within the framework of cooperation, all employees will be assigned accommodation (except when an employee organises accommodation independently). 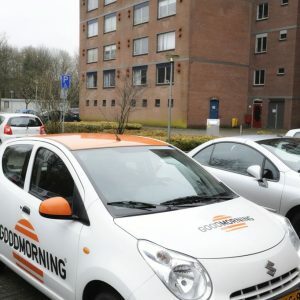 The company responsible for accommodation is GOODMORNING BV. We do our best to give our clients the comfort, freedom and convenience in everyday life they need. However, as employees live together, we hope that all rules will be complied with and that employees will respect each other. Different rules apply in different residential units. Regulations are available for viewing on a notice board located in every house/apartment. Please familiarise yourself with relevant regulations and comply with them. General rules of accommodation can be found in a guide published on our website. For reasons of hygiene, employees are obliged to arrange for bedlinen (pillows, duvets, sheets, pillow cases and duvet covers) themselves. 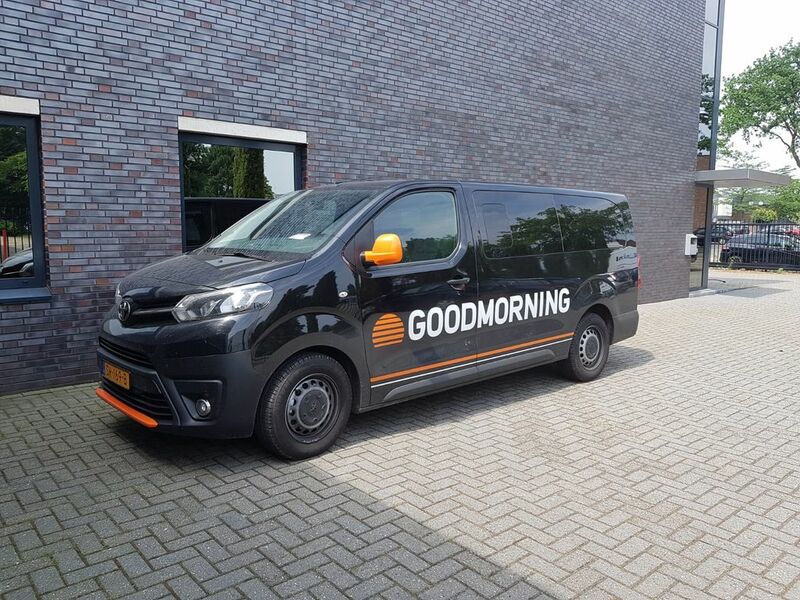 Employees can bring their own bedlinen or purchase it on site from GOODMORNING BV for EUR 25.00. Employees wishing to purchase bedlinen from GOODMORNING BV have to pay a fee at the reception desk in Stella Maris. They will receive a copy of the proof of payment. 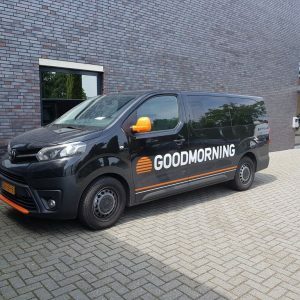 Employees who have been working for GOODMORNING BV for some time and wish to stay at a specific location can (where available) book the accommodation of their choice. Accommodation can be booked via a form which can be downloaded from a website. When examining accommodation applications, availability of the location is taken into consideration. Granting the request guarantees that no other individual will be assigned to this accommodation. ATTENTION! 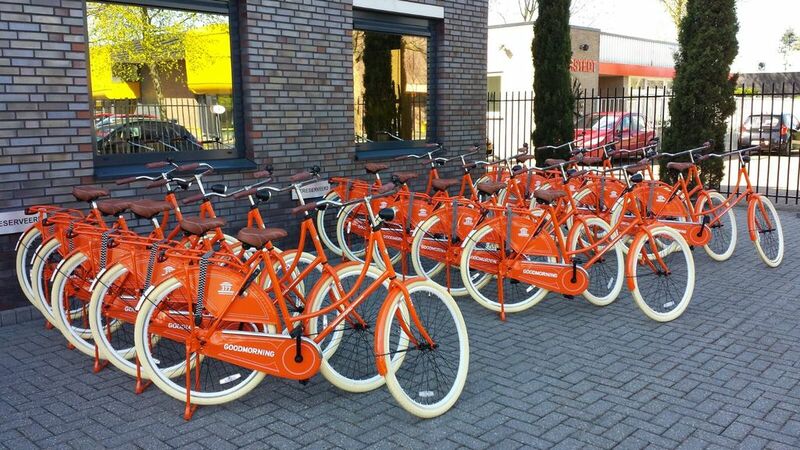 We request that all employees going to the Netherlands carefully read our guide. It includes valuable and useful information that makes adaptation and staying in the Netherlands easier. The beautiful Stella Maris residential complex is located in the peaceful area of Welberg. The building was previously owned by the church, but has been comprehensively renovated. A new, modern wing was added next to the old building. Consequently, the residential complex can house approx. 400 GOODMORNING employees. All apartments are fully equipped and furnished and comprise a kitchen, a bathroom and one or two bedrooms. The complex offers additional amenities such as Internet access, a recreation room with billiards, a table tennis table, restaurants, etc. The accommodation in Stella Maris is comfortable and well-equipped for everyday needs. The De Lus residential complex in Zwijndrecht is an apartment building with 1, 2 and 3 bedroom apartments. Every apartment comprises a spacious, fully furnished living room with modern furniture and a TV, a kitchen equipped with all the useful tools and appliances and a comfortable bathroom. There is Internet access in every apartment. 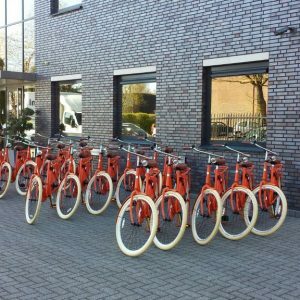 The complex is located in the vicinity of the Zwijndrecht railway station which ensures easy transportation in free time. Apart from residential complexes, we offer accommodation in ordinary residential houses. The houses are located all over the Netherlands. The location of a house depends on the distance between the house and place of employment. All houses are fully equipped and furnished to satisfy the residents’ needs. As in the case of our apartments, the houses comply with all standards and are comfortable. Living in a house, as opposed to a residential complex, ensures privacy and independence which help get used to and assimilate to a new culture. There is Internet access in every house. Temporarily in the summer we also have Dutch cottages. This is a location for a short/transitional period. 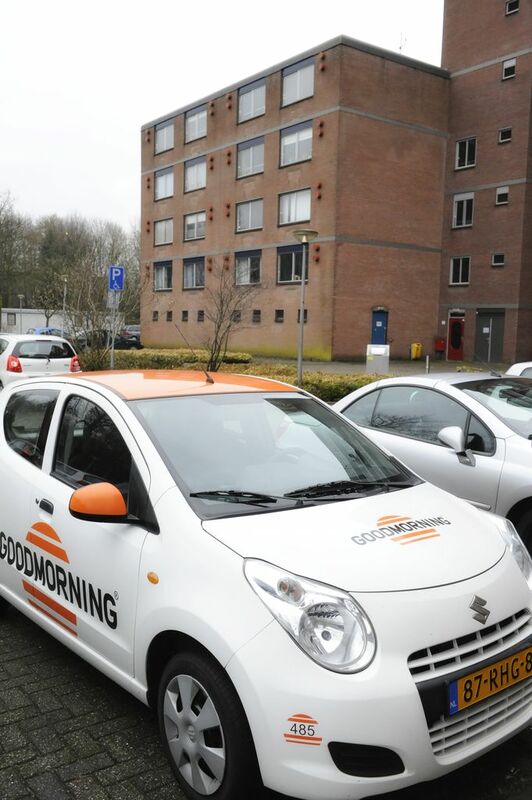 Apart from accommodation, GOODMORNING also provides transportation for employees. 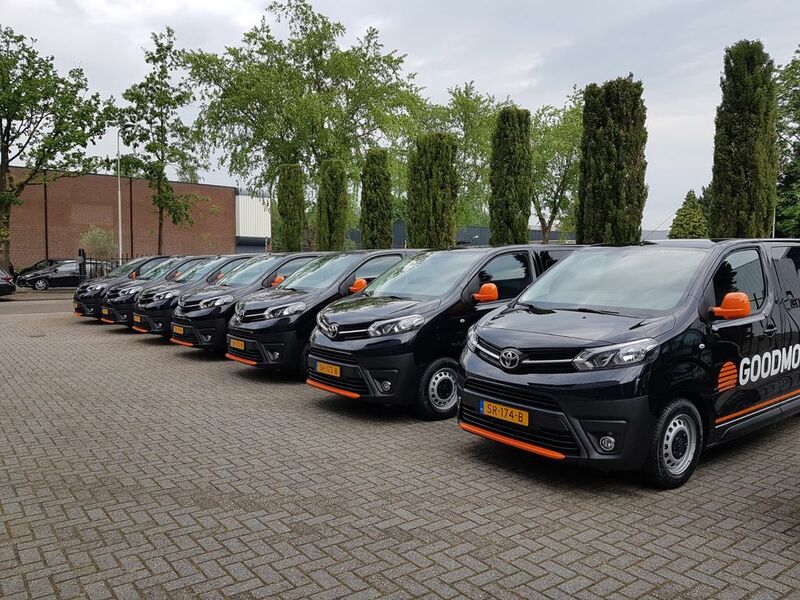 We have an extensive and modern car fleet which currently comprises more than 250 passenger cars (each equipped with navigation, which makes travelling easier, and a black box). 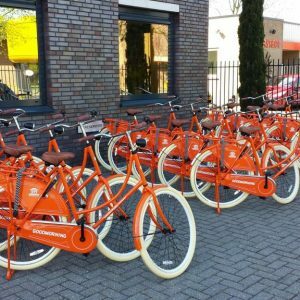 As a result, our employees can reach their employers throughout the Netherlands without any problems. 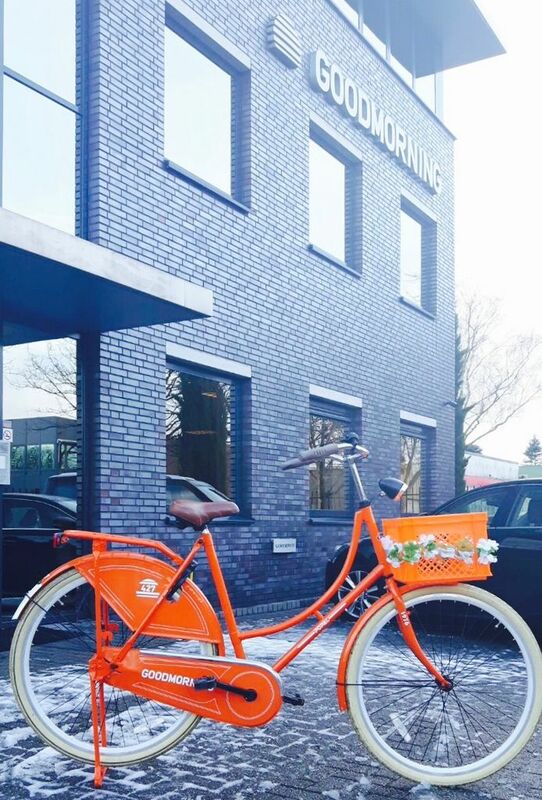 Depending on the distance between accommodation and the workplace, we also offer bicycles which are a very popular method of transportation in the Netherlands. 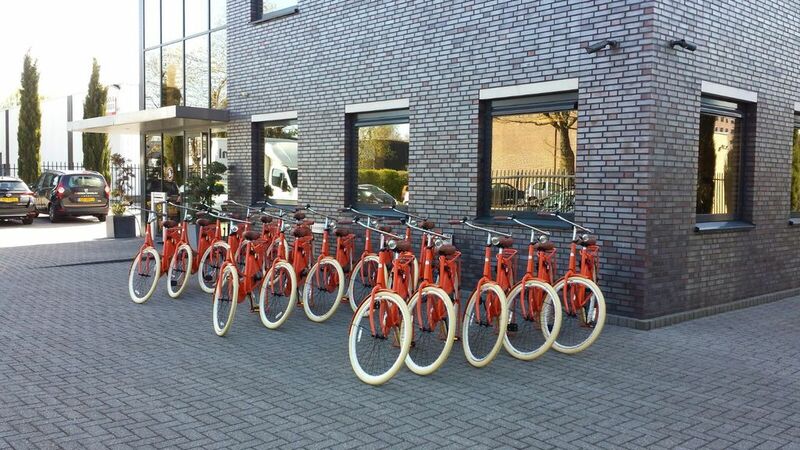 Future employees should specify their needs before arrival: we have a defined number of bicycles and cars. Similarly to accommodation costs, transportation costs are deducted from weekly pay. Having a bicycle or a car at one’s disposal ensures freedom, mobility and flexibility. Employees can be qualified as potential drivers by informing our representative in Poland or Romania that they have a valid driving licence. After signing an agreement with us, an employee is provided with a car and becomes liable for it. It is common for employees to commute to work together. Employees can be picked up from an assembly point. It is prohibited to pick up individual persons from their apartments. The same assembly point applies to all employees. 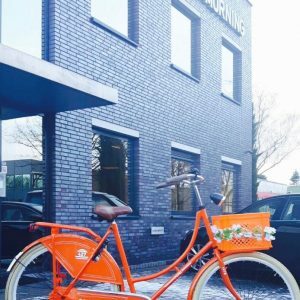 If the workplace is located close by, it is recommended to commute using a bicycle provided by GOODMORNING BV. When going on holiday, please contact a consultant or coordinator to return your bicycle for that period.